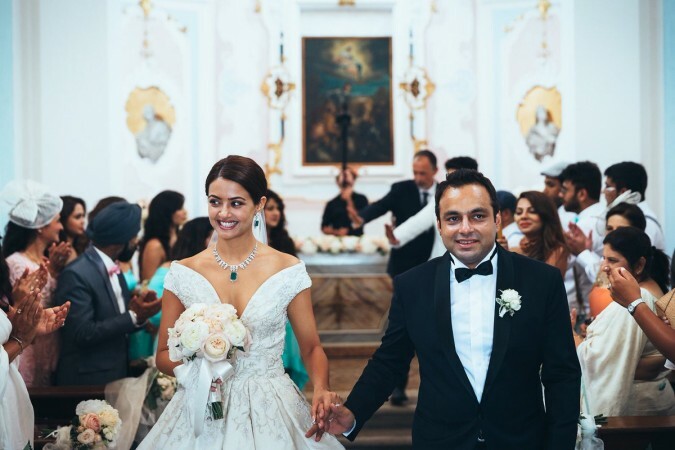 Surveen Chawla, who married Akshay Thakker, a businessman, on July 28, 2015 in Italy, took to Instagram to announce her pregnancy in the most creative and cute way ever. Surveen Chawla, who married Akshay Thakker, a businessman, on July 28, 2015 in Italy, is pregnant with her first child. The Hate Story 2 actress took to Instagram to announce her pregnancy in the most creative and cute way ever. Sharing a picture of a photo-frame along with a pair of teeny-weeny shoes, Surveen wrote on Instagram, "Life happens when it chooses to happen, when it wants to happen. And it is happening right now in this very moment, making our blessed and beautiful world even more blessed than what it already is! Yes, there is a miracle taking place, a miracle called life! And we are growing by two little teeny-weeny feet!!" In December last year, Surveen had shocked everyone when she revealed that she had tied the knot with her long-time boyfriend Akshay Thakker on July 28, 2015. "Yes, I am married. I have known Akshay for long. It was a personal choice to not talk about the marriage. We wanted to break the news just before our Indian wedding, which was scheduled to take place this month. However, we had to postpone it to 2018, following a loss in the family," Surveen had told a leading publication. "It was a 2 day affair, starting with the night prior to the ceremony, where all friends and family had prepared a sort of a Show(skit) for us ..The next morning was the symbolic ceremony where we exchanged vows. After which we had a luncheon followed by an evening reception where close friends n family gave their speeches and ended it with Punjabi Bollywood dance night!" she added. Talking about being a mother, Surveen had earlier said, "Though it's not going to happen in the near future, I will proudly announce when I embrace motherhood."